In this third addition to the Gipf project players compete to acquire sets of multi-colored balls. This is mostly accomplished by jumping one ball over one or more others, checkers style, on a hex board. 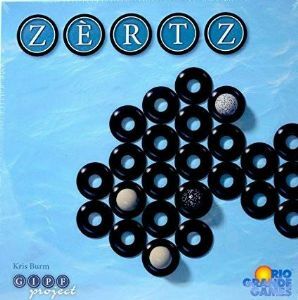 A player's turn consists of either jumping (which can be forced) or placing any color ball on the board and removing an empty space from the edge of the board. In this manner, the play space continually shrinks, giving the endgame an almost claustrophobic feel.